If you live along or near the Jersey Shore and need a trusted veterinarian to care for your pets – look no further. Dr. Stephen J. Batich and Dr. Marko Sima are licensed NJ veterinarians. The health and wellbeing of your pet is very important to us. We take every possible measure to give animals the care they deserve. 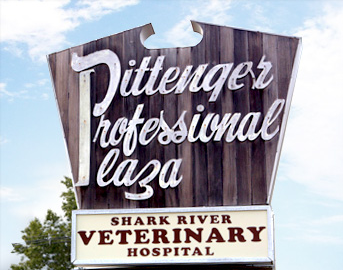 Dr. Stephen J. Batich and Dr. Marko Sima and the rest of the veterinary team at Shark River Veterinary Hospital in Neptune, New Jersey are committed to providing the finest veterinary care possible. We specialize in small animals including dogs, cats, ferrets, guinea pigs, gerbils, and hamsters. We're a welcoming, skilled, and cost-conscious partner in the care of your beloved companions. We are happy to offer a number of resources that enable you to learn about how to take better care of your pets. Please feel free to browse our site, particularly the informational articles. The best veterinary care for animals is ongoing nutrition and problem prevention, so becoming knowledgeable about preventative pet care is essential to the ongoing success of your animal’s health. If you have any questions, call 732-775-2444 and we'll promptly get back to you. Our facility is very easy to get to -- just check out the map below! We also welcome you to subscribe to our newsletter, which is created especially for New Jersey pet owners. At Shark River Veterinary Hospital,we treat your pets like the valued family members they are. Growing up in Roselle Park, New Jersey, Dr. Stephen J. Batich always had a reverence for animals. It was an accident suffered by his childhood Irish Setter Holly, however, that really motivated him to pursue a career in veterinary medicine. He describes watching her 'come out of shock and regain full consciousness under the care and treatment of a local veterinarian' after being hit by a car as the pivotal moment that made him appreciate the vital role veterinarians play in the care and well-being of animals. His commitment to this role continues to motivate him today. When asked what he finds most satisfying about being a veterinarian, Dr. Batich says, 'Being able to serve people and their pets with compassion and honesty. Presenting facts and options to pet owners and helping them make proper decisions. Also, I enjoy being able to extend the quality of pets' lives and to educate owners on early warning signs regarding their pets' health.' Dr. Batich graduated from Montclair State University in 1969 with a bachelor's degree in biology and chemistry. After college, he taught science in public school for five years before entering veterinary school. From there, he went on to the University of Parma in Italy, where he earned his Doctor of Veterinary Medicine. 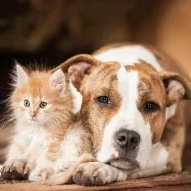 Dr. Batich is a member of New Jersey Veterinary Medical Association and his professional interests include dermatology, internal medicine, wound care, and dental care. Dr. Batich is a proud father to four grown children and two dogs, Archer, a black male Labrador retriever, and Genevieve, a yellow female Labrador retriever. When not devoting his time to the care of animals at Shark River Veterinary Hospital, he enjoys spending time with his family, including his three 'beautiful, strong, expressive, and smart granddaughters,' as well as surf fishing, biking, and golfing. "Dr Batich truly listens and cares!!! Excellent vet!!!" "I love Dr. Batich, He is like Dr. Doolittle. My dogs are always so calm around him. He is so compassionate especially at the end of life situations that all pet owners face"